Blogging is such a unique hobby that can often turn into a career. 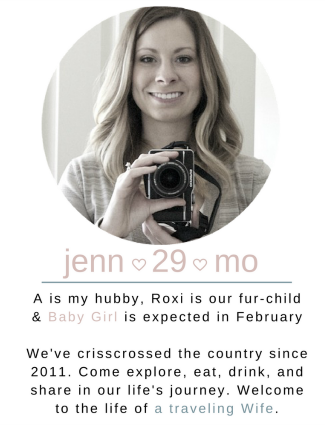 For me, I started blogging just to tell my story and as a way to connect with family when I moved from Michigan to California. It has then turned into my full-time job. I, of course, monetize my blog because I don't know anyone that willingly wants to work for free. There are many, many, many ways to monetize a blog. Adding advertisements, affiliate links, sponsored content, or charging for services are just a few examples. But today I want to talk specifically about sponsored content. As a blogger, it is important to remember that you don't have to qualify to ANYONE how and why you are making money - more on this later. As a blogger, you know that sponsored content can come from nearly anywhere. You could receive an email from a brand or marketing firm, get leads from agencies, campaigns from communities, or you could be contacted via social media. Really, the work is endless and can be found in every nook and cranny of the inter web. Here are some of my takeaways from creating sponsored content. Be transparent. Your readers are your friends and you wouldn't deceive your friends, would you? Tell them who you are working with, how you are getting paid (money and/or product), how this specific product or service can benefit them, and tell them up front. Not only are you required to be open and honest with your audience by the FTC, but it helps build rapport and authenticity. Say no. Some products and services just aren't a good fit for you personally or your audience. Sure, you saw that they were willing to pay you $150 for a simple 300 word blog post, but if it doesn't benefit your audience's needs, then it will not benefit you. When readers see unauthentic content, they will likely not return to read in the future. Don't harm your brand by accepting every offer that comes your way. Try new things. If a brand presents you an offer and you've never tried the product or service, give it a try. Again, take into consideration the above comment about saying no, unless you think this product could really benefit your audience. Promote. Creating content just isn't enough. Sure, the requirements of your sponsored campaign were only to write 300 words, but if you are not promoting through all outlets, your post won't be seen. If your post isn't seen or does poorly, your relationship with the brand will likely not advance. I've been creating free content for years and promoting my own work. I don't know why someone wouldn't want to give all their effort to do the same for paid work. Do not qualify what you do. This is the most important to me. Opportunities come and go as they please. Some months are busier than others when it comes to paid work, so why not take advantage of it. Remember, this is my job. If you see two or three sponsored posts one week from fellow bloggers, comment on their work and take mental notes on how you can achieve this. They are working hard just like you to do what they love. There is no reason to apologize or make up excuses to qualify why you would want to make money from your work. I find that it's best to remain authentic to my audience and try my best to share products and services even if I'm not being paid to share them. Another note, if your sponsored posts are evergreen and directed towards your audience, they won't mind one bit that you were paid for it. Heck, it benefited them by helping to solve a problem or inspired them to create something - it's a win for everyone. 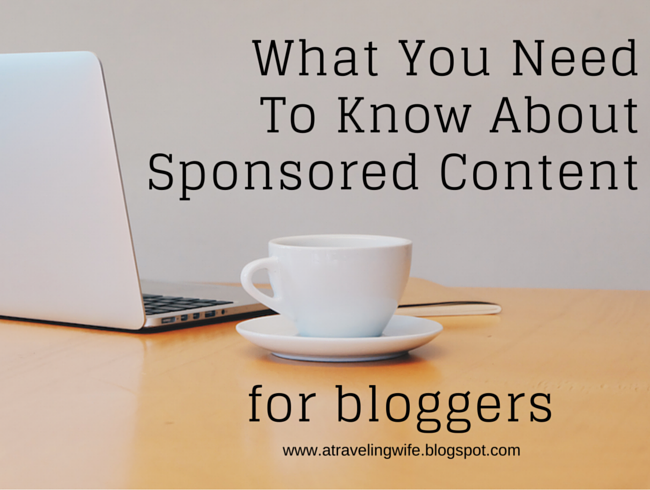 Stay tuned for part two: What You Need To Know About Sponsored Content As A Reader. Here I share what readers need to understand when it comes to creating sponsored content. Do you think I missed any key points for working on sponsored content? I think that like you mentioned, authenticity is HUGE. I hate when I see bloggers posting things that have no relevance to their blogs.. always disappoints me. I'm learning to say "no", esp. to non-paid opportunities. I used to feel like that would hinder me from succeeding, but now I'm learning I can wait until paid ones come along. Thank you, Carly. I mean, there is nothing wrong with a little trial and error because you never really know when that strange product might be a hit for your readers. But I think there is definitely a fine line when you stray too far away. I think you still need to be careful about the quantity of sponsored posts that you take, even if you're selecting products that you believe in or will be useful for your audience. No matter how well you write a sponsored post, it is what it is, and I think that readers eventually get tired of it if it happens too often. I agree that some readers might get tired of seeing generic sponsored posts. But let's say you get an entire month of sponsored content towards styling clothes, or DIY, or recipes. I don't think the audience would get tired of seeing styling posts, or decorating posts, or food posts, if that's what your niche is. Great post! I would say a large majority of people want to make money from blogging, so we should support each other in our careers :) I don't see anything wrong with sponsored content as long as we're being honest!